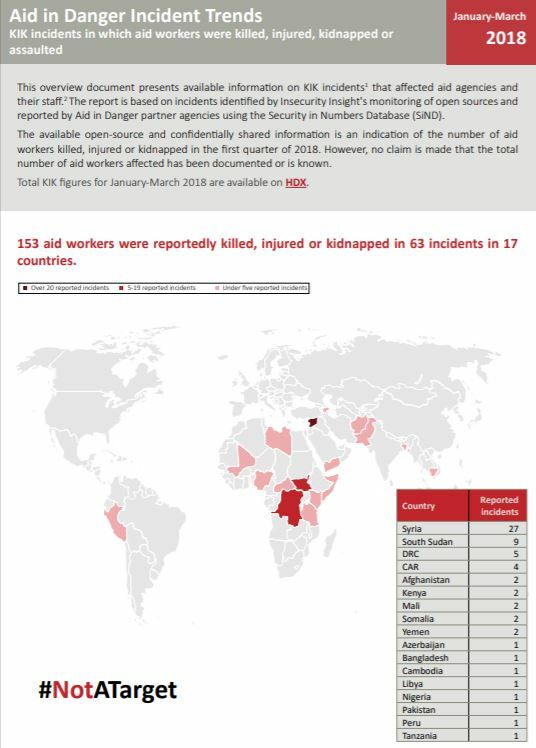 In 2018, at least 171 aid workers were kidnapped, 155 killed, and 184 arrested. 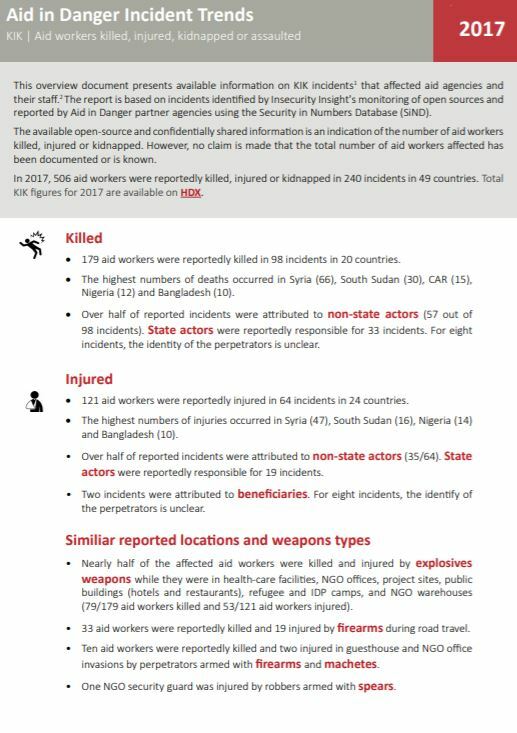 We track these events in open sources and in collaboration with 28 aid agencies who share verified and confidential reports. 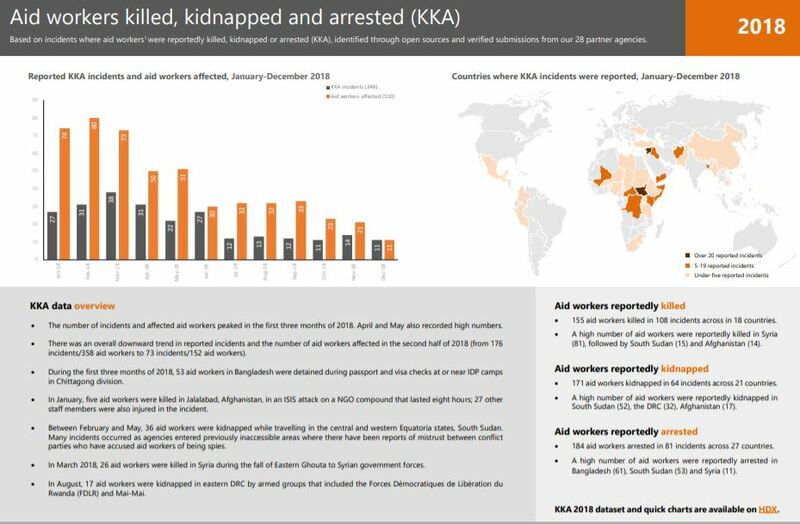 A summary of trends of the first half of 2018 based on incidents where aid workers were reportedly killed, kidnapped or arrested (KKA). 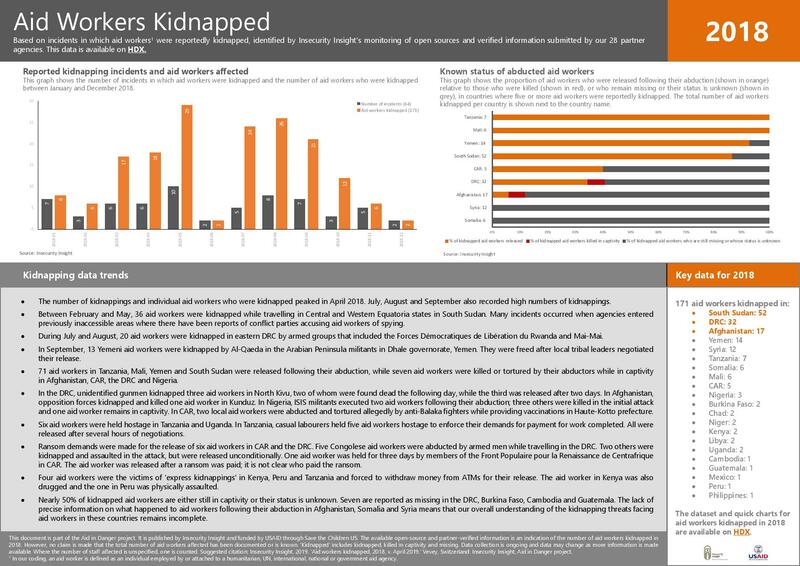 Sources: Open sources and verified reports from our partner agencies. 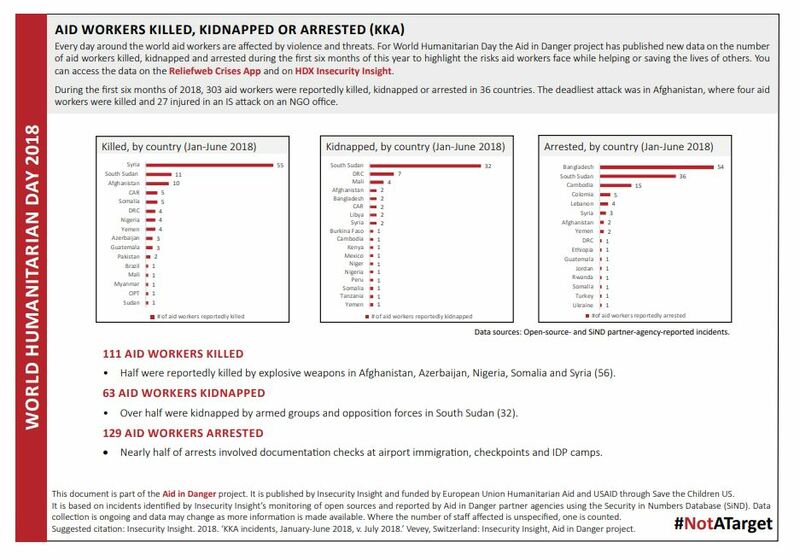 Join our Aid in Danger mailing list and get the latest information on aid security directly into your inbox.